Discover one of the area’s best locations at The Colony at Towson Apartments & Townhomes. Set in the heart of residential Towson, MD, your student apartment offers close proximity to important landmarks. Enjoy short commutes to Loyola Blakefield and Goucher College. 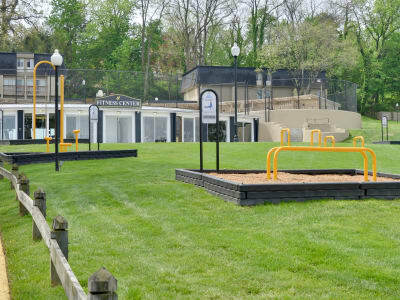 Carver Center for Arts and Technology is located right across the street and our community provides a complimentary shuttle to Towson University. When you need to study, visit Atwater’s Kenilworth for coffee, baked goods, and plenty of seating. When you’re not busy with schoolwork, check out Towson Town Center or visit The Shops at Kenilworth. On the weekends, take a trip with friends to Loch Raven Reservoir. For convenient student living in Towson, Maryland, The Colony at Towson Apartments & Townhomes can’t be beat. Call today to set up a personalized tour.